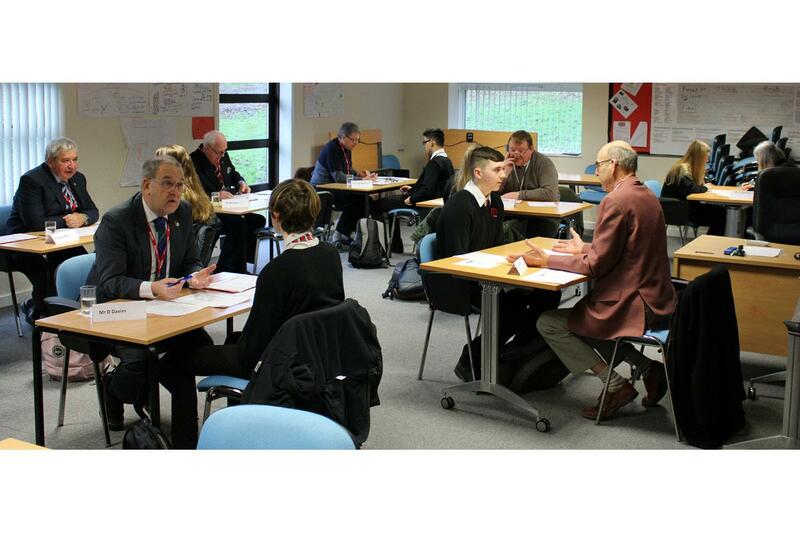 The Interviews have been provided for The Marches School students since 2012, using a process and documentation previously pioneered by The Rotary Club of Wrexham Erddig. Rotarian Sue Leonard seeks volunteers from members of Oswestry Rotary Club, their spouses and known contacts who are willing and capable of giving students the much needed experience. 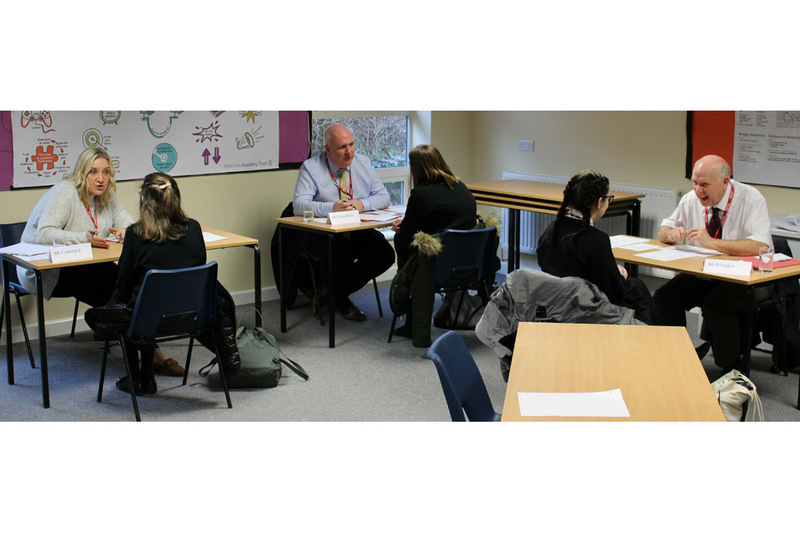 The experience of the interviewers guides the students to bring forward interesting and useful information which would be of interest to a prospective employer, and provides valuable feedback and tips on how the students could succeed in future interviews. "Overall I think the day was very successful. We had 57 interviewers in the end. 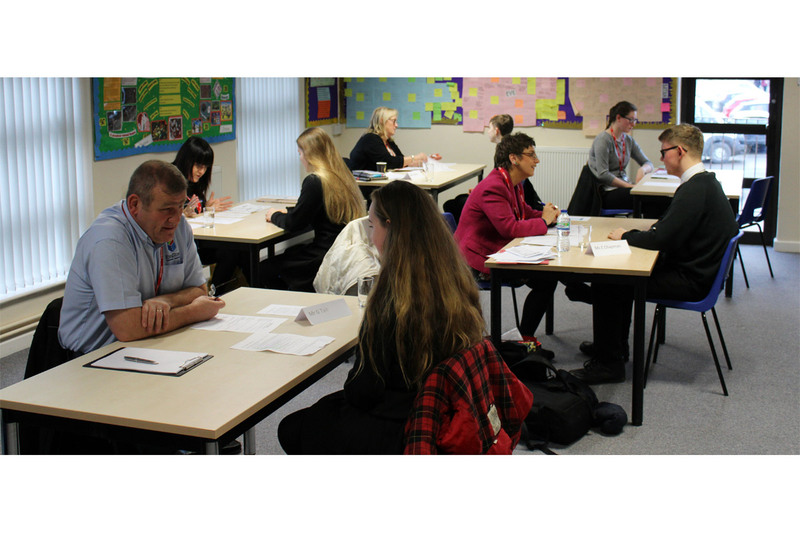 Completing the interviews in the morning worked well and most had to interview 4 pupils some 5. Y 11 were buzzing and several members of staff have e.mailed me with positive feedback. Infact a group of students approached me after the assembly to thank me too. It certainly involves a lot of work but is one of our best activities to support 260 young people.